Good morning, dear friends! When I gave birth to my babyboy, lots of friends and relatives came home to visit and meet the new member of our family. One of them was my mom’s sweet cousin Olympia. She brought us an amazing greek cake called «melachrino» which means brunette (because of its dark color due to grape molasses) or «ftwcho» which means poor (because of its simple ingredients). 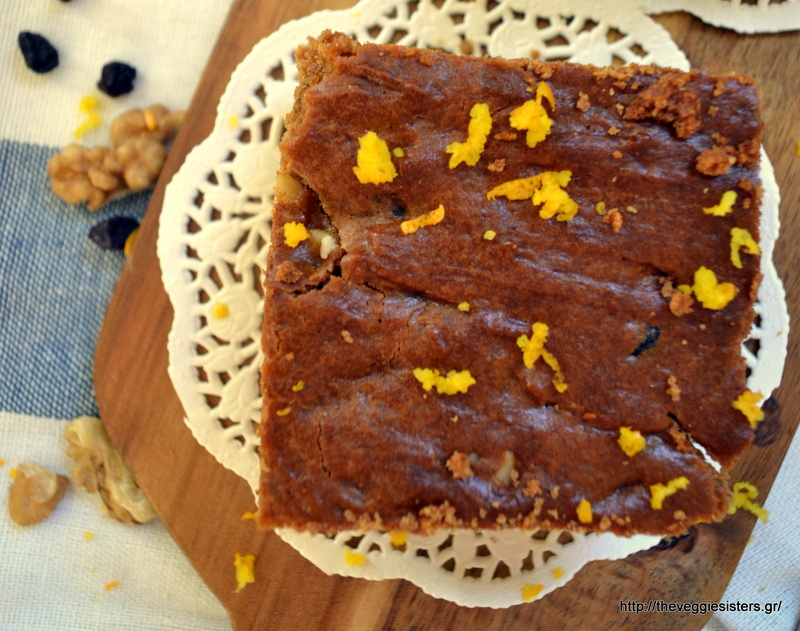 It is a greek vegan traditional cake, very easy to make and absolutely mouthwatering! Of course I asked her to give me the recipe and here you are! You should try it! I bet you will love it too! In a bowl combine flour, cinnamon, baking powder. In another bowl beat oil with sugar and grape molasses. Combine orange juice with baking soda and pour them in the wet mixture. Then add the dry ingredients into the wet ones. Fold in walnuts and raisins. Empty batter in a greased baking tin and bake in preheated oven at 180C until a knife inserted in the center comes out clean. Allow to cool before seving. Enjoy! 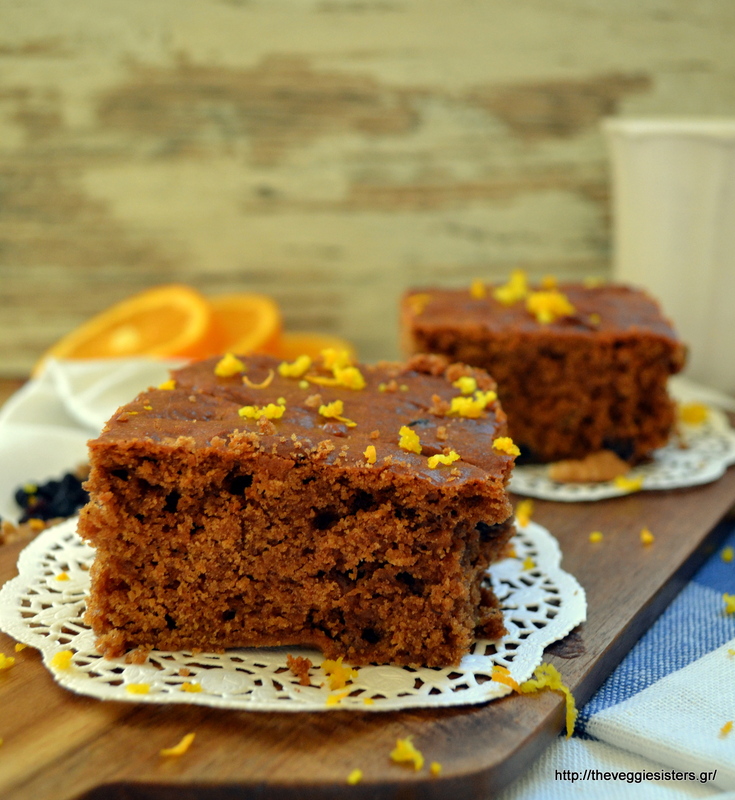 Share the post "Melachrino (traditional grape molasses cake)"